Proven aircraft maintenance since 1964. 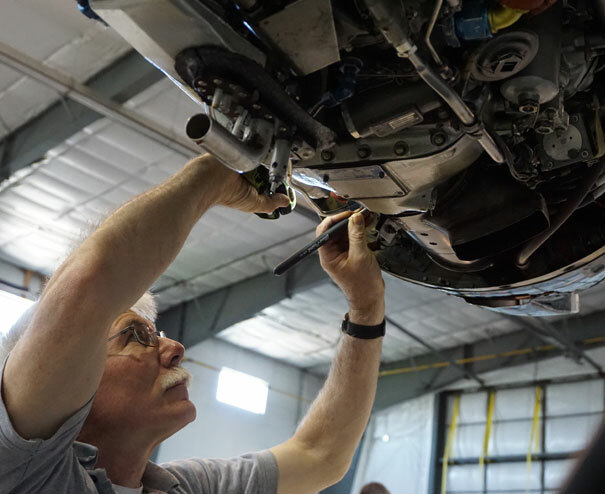 We're a complete maintenance facility servicing both private and commercial piston, turbine, light jet, and rotary wing aircraft. Our highly qualified Aircraft Maintenance Engineers think safety first and take pride in the quality of their work. We also believe that our clients should play an active role in the care and safety of their aircraft. Our service is transparent, with all needed repairs reported and approved by our customers before work is begun.